A bread roll filled with a veal cutlet is an Italian classic which comes into its own as an ideal solution for quick lunches or delicious snacks. This recipe has never gone out of fashion despite its venerable age, and has been passed down to our own times as an example of a uniquely balanced combination of refinement and taste. So, here are the instructions for preparing your own home-made veal cutlet bread bun! For many years, the origins of the veal cutlet were somewhat hazy. Evidenced by documents dating back to around the end of the 1700s, it was in fact thought that the original recipe came from Vienna in the form of a thin slice of veal, dipped in egg, breaded and fried. However, recent agrifood studies have unearthed historical documents regarding Milan which show that the feast of Saint Satyrus was celebrated in Italy as early as 1134, and agreeably honoured by the succulent and irresistible flavour of the traditional Italian veal cutlet. Unlike most recipes of traditional Italian cuisine, the veal cutlet was initially created as a luxury dish which, when first presented, was actually covered in gold dust and then fried in butter. The poorer classes, for whom even a dish of meat was a rare and costly treat, replaced this precious ingredient with breadcrumbs. Today, the authentic cutlet is made from the cut of veal from which its name derives, and is served on the bone (also known as a “handle” in Italian), after frying in clarified butter. The veal cutlet filled bread bun is one of the mainstays of Italian street food. Crisp outside and succulent within, the cutlet is wrapped in soft bread so the explosion of flavour you experience when you bite into it is truly beyond compare. 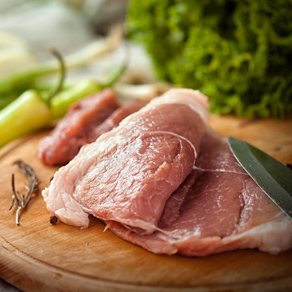 Discover how to make your own snack with the most delicious veal cutlet you have ever tasted! To make an authentic veal cutlet filled bun, make sure you choose the right cut of meat, which must be loin of veal on the bone. Its thickness should be no less than 2 cm; if you prefer it thinner, you can beat it slightly with a meat tenderizer. 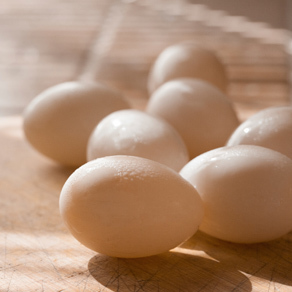 Break the eggs into a bowl and beat them slightly. 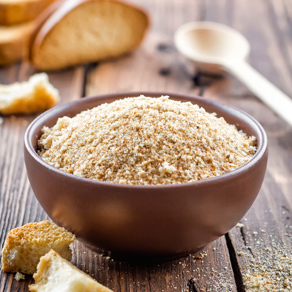 Prepare another large plate and fill it with plenty of breadcrumbs. 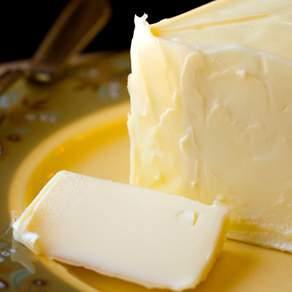 Take a pan and pour in the clarified butter, a special type of butter that undergoes a special process to remove the buttermilk. Heat the clarified butter and start to prepare the cutlet. Dust it rapidly with flour and then dip it into the beaten egg, taking care to coat the surface thoroughly. Remove any excess egg be passing the meat over the edge of the bowl. Now transfer the cutlet to the plate containing the breadcrumbs, patting it lightly so that the coating adheres well to the surface. Fry the cutlet in the clarified butter until it forms a crisp, deep golden outer crust. It will be pink inside, not white. Cut the bread bun in half. When the cutlet is ready, place it on a sheet of absorbent kitchen paper to remove any excess fat, season with coarse salt and, after a few moments, transfer it to the bread bun. 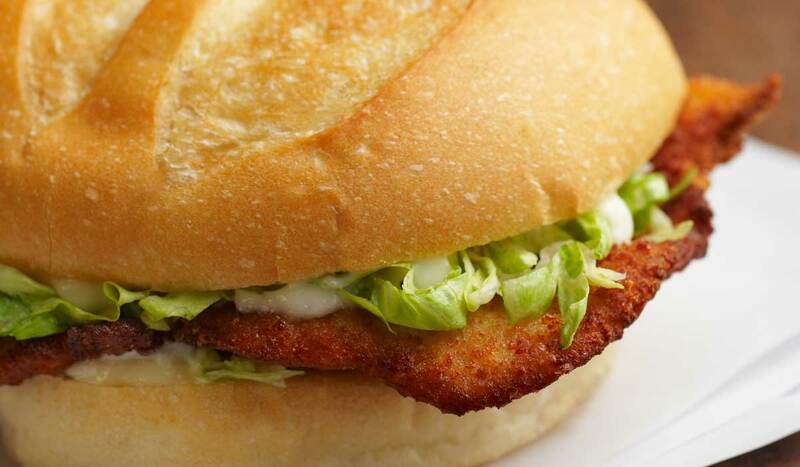 You may decide to enjoy your veal cutlet bun as it is or garnish it with a fresh lettuce leaf. There are a number of variations on the veal cutlet bread bun theme: it can also be made using chicken or pork, breaded and fried in the same way.